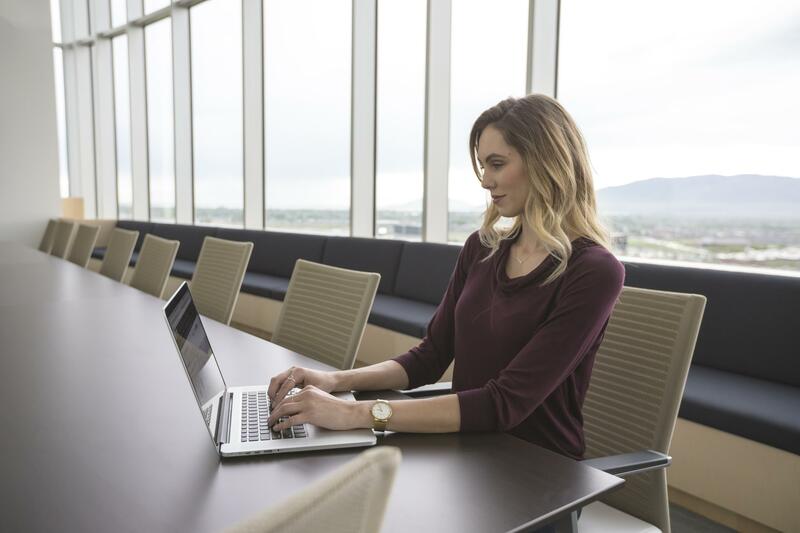 Are you ready to step up your sales game? Events are the best way to build your expertise, expand your network and even source some hot new leads, so we’ve partnered with some of our favorite voices in the sales world to curate a calendar of events actually worth knowing about. 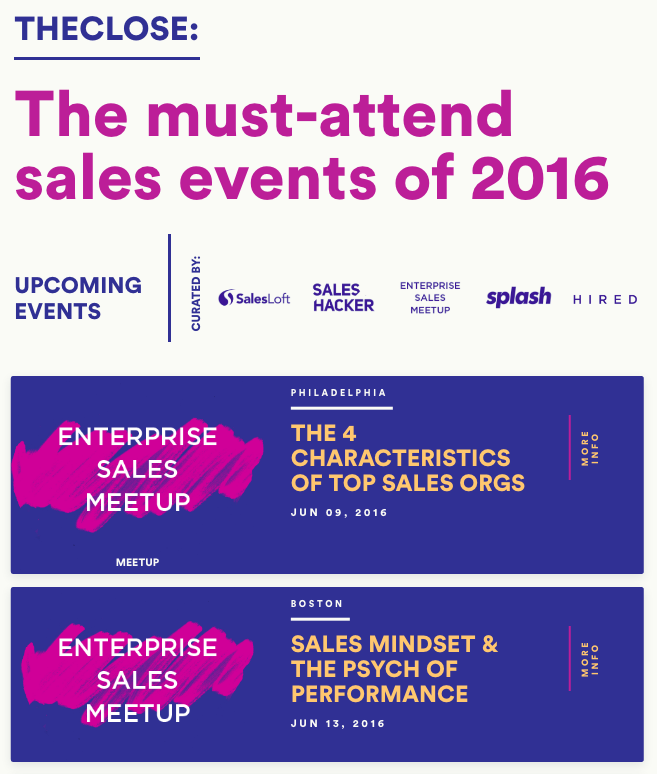 SalesLoft, SalesHacker, Enterprise Sales Meetup, Hired and Splash are excited to announce TheClose - our brand-spankin’-new resource for the latest and greatest events, conferences and get-togethers in the sales industry. Take a peek, and don’t forget to subscribe if you want to stay in the loop! New and notable events will be added every month and we know you don't want to miss out. TheClose is powered by Splash’s new Hubs technology, built specifically for curating and promoting awesome own event calendars. Interested in taking it for a test drive? Let us know! Rachel Nevers is the Marketing Manager at Splash, focusing on growing the Splash brand to drive lead generation and user satisfaction. Carrying over her experience as Marketing Manager at Nielsen, Rachel is responsible for infusing the Splash brand into the product experience, crafting rad content, cultivating a killer digital experience, and building powerful sales enablement resources. You might catch Rachel petting dogs that don’t belong to her or checking out live music around the city, but most importantly, Rachel is fluent in the language of GIFs and Beyonce lyrics.